NOW OFFERING WATERJET GARNET in 80X! This Garnet has been cleaned and re-screened to Waterjet Specs and gone through several passes on a magnetic separation device to remove most tramp minerals. This material is NOT Indian Garnet, which is really the highest quality material one can buy, but nobody can import it to the USA at this time. Our hard rock Waterjet Garnets will have a hint of a trace mineral called Wollastonite (a tramp mineral) that we are unable to completely remove with magnetic separators. What Is Garnet? Garnet is a sandblasting mineral, derived from either Almandite or Andradite deposits. It is great for both wet and dry sandblasting applications. Garnet is a industrial gemstone that creates a profile virtually free of embedment, which makes it excellent for coating adhesion, as well as applications where low or no transfer of grit into the substrate can be tolerated. The simplest way to describe garnet would be "Clean & Fast". Minimum Order: One pallet of 2000 or 3000 lbs depending on packaging, and type of garnet you order. High hardness. Garnet will last a long time, making it a very cost effective sandblasting abrasive. Mohs Hardness is 7 to 8 depending on the type ..
Can recycle a number of times, depending on your grit size (generally you can obtain recycle garnet twice, perhaps more when starting with a coarse grade). Environmentally Friendy! It is thus often used to blast stuctures residing over or next to bodies of water where contamination by the blasting media itself is a concern. Garnet is safe and non toxic with very low free silica levels (generally less than 1%). Excellent for coating prep, surface prep use. Garnet will leave a profile that is almost free from embedment, troughs, and peaks. Multiple Shipping Points around the country. Get a Quote Now. Dry docks, Bridges, Shipyards - a great abrasive to use where water contamination is a concern. NOW OFFERING WATERJET GARNET! This Garnet has been cleaned and re-screened to Waterjet Specs and gone through several passes on a magnetic separation device to remove most tramp minerals. This material is NOT Indian Garnet, which is really the highest quality material one can buy, but nobody can import it to the USA at this time. Our hard rock Waterjet Garnet will have a hint of a trace mineral called Wollastonite (a tramp mineral) that we are unable to completely remove with magnetic separators. It will thus be slightly more dusty, about 5% more dusty than Indian waterjet garnet, and it is also slightly less hard (7.0-7.5 on the Mohs scale). If you were using Bengal Bay Alluvial Garnet you will notice a difference when switching to our media. Mainly you will need to change your filters more often (about twice as often) due to the Wollastonite. There should be no change to cutting speed. Benefits of our media include availability - we have huge quantities available (for decades to come), at a great price, with virtually no chlorides (Indian garnet contains chlorides), same gradation as Indian Garnet, and are now able to offer this media in a 2040, 3060, as well as 80X grit. The 80X is used for waterjet use and the coarser grades are used in regular sandblasting applications, and will be noticeably less dusty than regular garnet due to the special processing it goes through (same processing as the 80X for waterjet use). Coverage Notes For Regular Sandblasters Using 3060 and 2040: Paint contractors are loving these coarser "waterjet" grades for regular sandblasting use. Surfaces are blasting exceptionally clean, free of debri, and they report using 1/3 to 1/2 LESS than regular sandblasting garnet would require. So even though the price is higher for our "Waterjet grade" garnet, project costs are less due to less media consumption, and labor costs. Brown / Grey in color. Standard Sandblast Grades are packaged in 3000 lb pallets (60, 50 lb bags/pallet) OR 3000# supersacks. Waterjet grades are packaged in 2000 lb pallets (40, 50 lb bags/pallet) OR 3000# supersacks. Re Coverage Estimate: Most people using our Garnet use 30-40% less garnet than utility products like glass or slag. It's more dense so it works harder. Garnet Sizing and Profile Information: (!) NOTES: Anchor patterns will vary tremendously based on other variables such as hardness & type of steel, level of corrosion being removed, blast angle, blast distance from the steel, etc. There are also many differnet types of garnet available, each having a different result when used in a blasting operation. Make sure you indicate to us what your required mil profile is, the type of steel you are blasting, and what you are removing, so we can best match a garnet to suit your operation. 16 - Very Coarse. ideal for blast rooms due to the number of times you can recycle. Provides a 3-4 mil profile on blasting steel, bridges, ships and tanks. 36 – Coarse. Produces a 2 - 3 mil profile on steel surfaces. Generally used for thick coatings, marine fouling, and rust. Sandblast grade only. 3060 Medium. Produces a 2.0 – 3 mil profile on steel surfaces. Considered to be an overall workhorse grade for new steel and maintenance for coatings up to 20 mils. 50 Mesh. Sandblast grade only. 80 Mesh – Fine. Produces a 1.5 - 2.0 profile on steel surfaces. Great for aluminum and other sensitive substrates. Also perfect for marine aluminum applications, and hydro blast cleaning operations. Also available in Waterjet Grade! 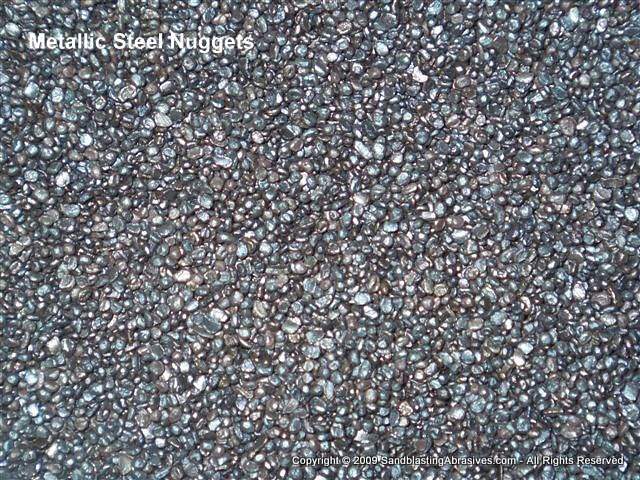 Our Minimum Order: One pallet of 2000 or 3000 lbs depending on packaging, and type of garnet you order. See above information. Packaging: Varies from 50 lb bags to22 ton super sacks. Pricing Quotes: We will work up a custom quote for you. Sizes Available: All standard sizes & packaging are avilable. Shipping Location: Varies depending on where you are shipping it to. LOOKING FOR 5 TO 80 LBS OF GARNET AND NOT A NET TON?